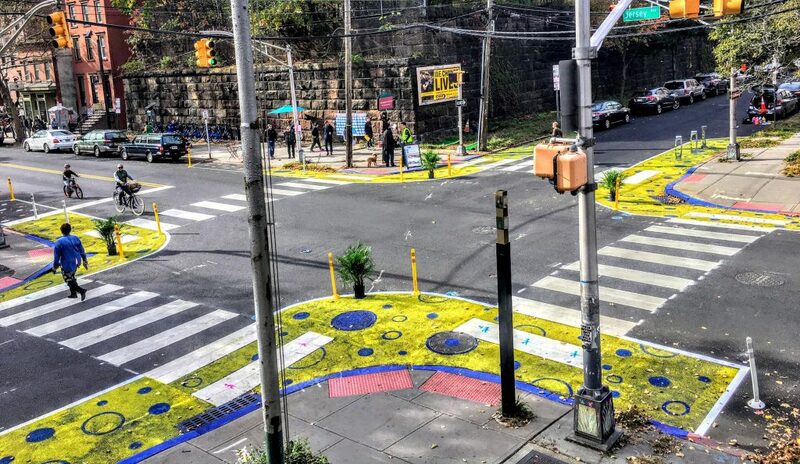 Tactical urbanism means making small-scale, temporary improvements to the built environment. Projects are often low-cost, temporary and demonstrative in that they show how urban environments can be improved, rather than supplying a finished solution. This approach can be hugely beneficial to urban areas, particularly those built many years ago and are hugely different – not only to the modern aesthetic but also today’s understanding of how urban communities are created and nurtured. Here, we bring you a selection of our favourite creative, Tactical Urban projects. Street Plans is an award-winning urban planning, design firm with offices in Miami and New York City. The firm considers itself to be the “stewards of the international Tactical Urbanism movement on the back of its research and advocacy work”, which it says have given shape to topics including open streets, market design and public space stewardship. 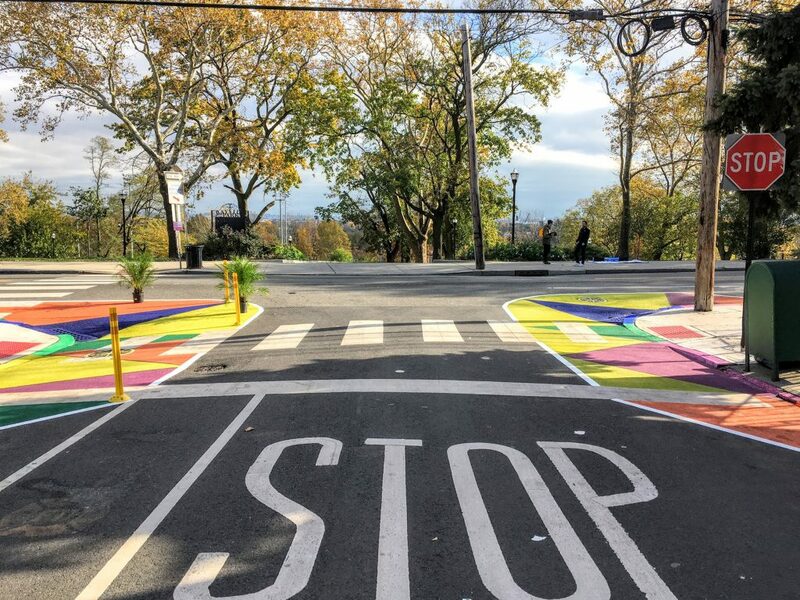 One of its key projects was in Jersey City, New Jersey where the City hired it to help plan and implement six walkability workshops consisting of temporary curb extensions, including a public-feedback board, tables and chairs, wayfinding signage, planters, and colourful paint. The curb extensions allowed residents to experience first-hand a potential safety improvement project and provide input for the creation of the City of Jersey Pedestrian Enhancement Plan. Reflection of Loss of Lives, Livelihoods and Living in Neighbourhood (above) is an installation by artist Peter Majendie, sees 185 chairs positioned in the heart of Christchurch, New Zealand that used to house a church. 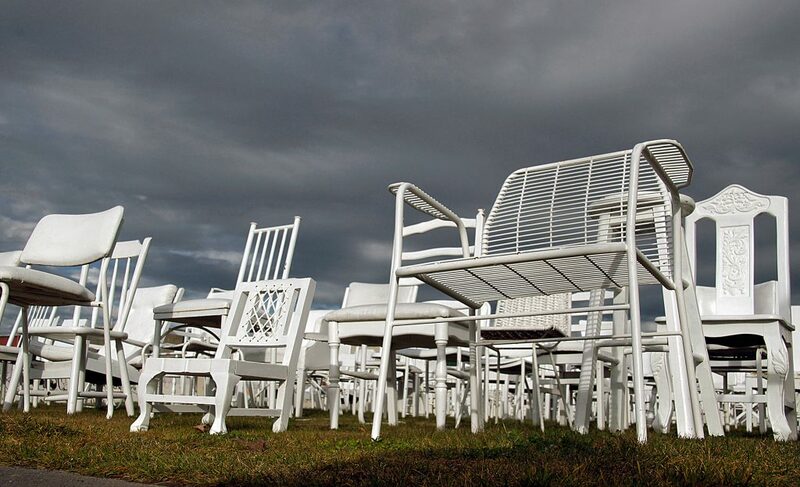 Each of the chairs is intended to represent one of the 185 lives lost in the 2011 Christchurch earthquake with one, just like its owner, having a distinct personality. The installation includes armchairs, dining room chairs, a wheel chair, and even a baby seat and covers 185sq m of grass, which itself represents new growth and regeneration. 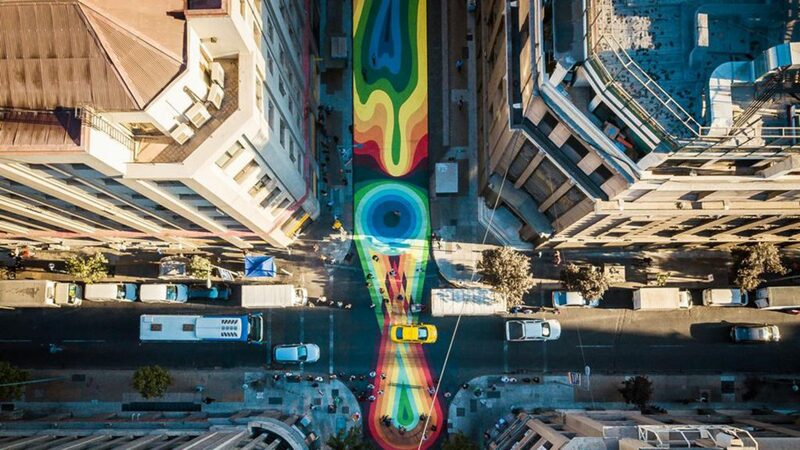 In Santiago, Chile, visual artist Dasic Fernández led more than 120 people to transform one of the city’s most iconic streets in just one month. The idea behind the new colourful promenade in Bandera Street, next to the government palace was to find a solution for the 400-yard section of the street after it was closed to both traffic and pedestrians during the construction of a new metro. The idea behind the work was to showcase an example of tactical urbanism that fused art and architecture, and that would set a precedent for how both disciplines can successfully intervene in urban spaces. The mural, which was painted on the asphalt, has an approximate area of 3,300sq m (or 35,500 square feet) over three sections: The first is inspired by the pre-Hispanic history of Chile, the second reflects the current diversity of the country, triggered by immigration and cultural changes and the third offers a glimpse of the future through more modern street furniture and stronger colours. While the mural was only ever meant to be temporary, everyone loves it so much, the city may decide to keep it.